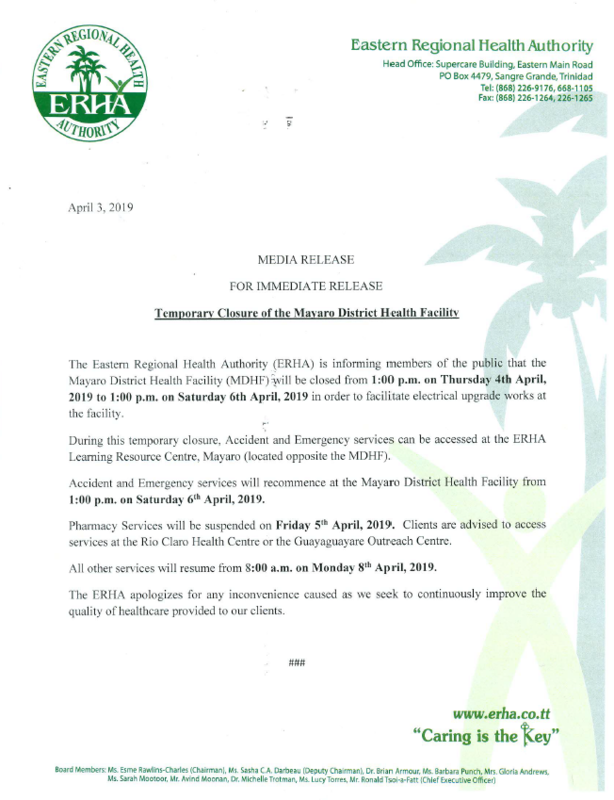 The Eastern Regional Health Authority (ERHA) is informing members of the public that the Mayaro District Health Facility (MDHF) will be closed from 1:00 p.m. on Thursday 4th April, 2019 to 1:00 p.m. on Saturday 6th April, 2019 in order to facilitate electrical upgrade works at the facility. During this temporary closure, Accident and Emergency services can be accessed at the ERHA Learning Resource Centre, Mayaro (located opposite the MDHF). 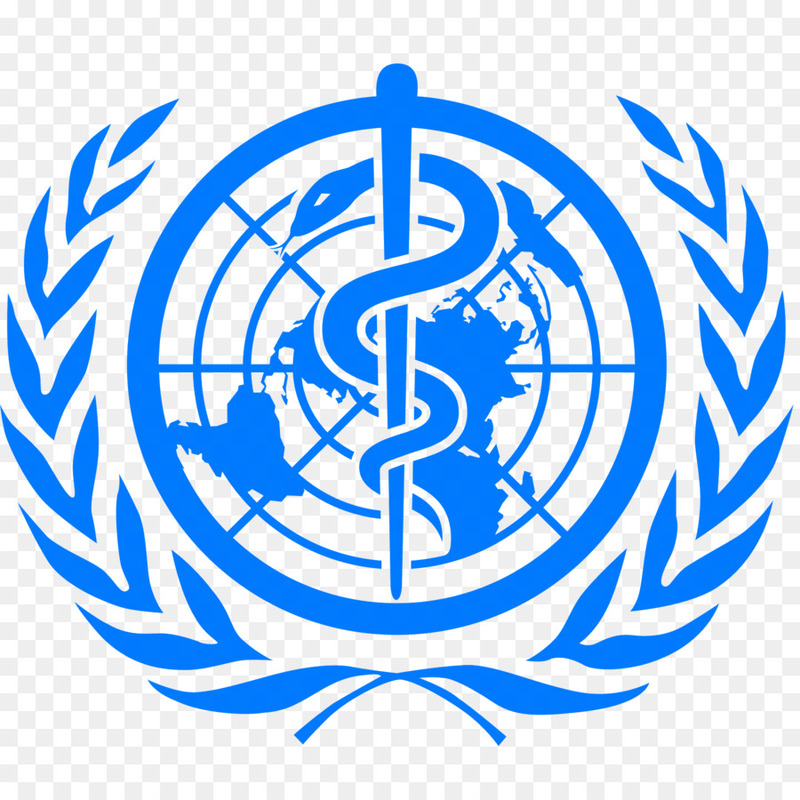 Accident and Emergency services will recommence at the Mayaro District Health Facility from 1:00 p.m. on Saturday 6th April, 2019. Pharmacy Services will be suspended on Friday 5th April, 2019. Clients are advised to access services at the Rio Claro Health Centre or the Guayaguayare Outreach Centre. All other services will resume from 8:00 a.m. on Monday 8th April, 2019.